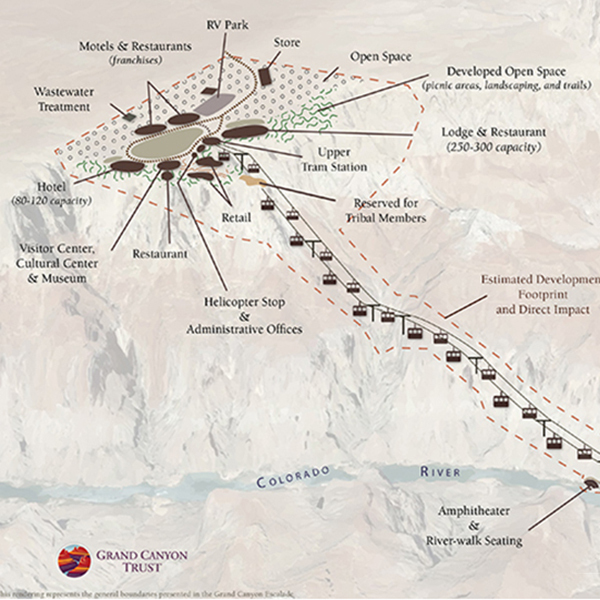 Protecting the Grand Canyon, now and into the future. The Grand Canyon tops bucket lists across the world, and yet, it faces threats from every direction. 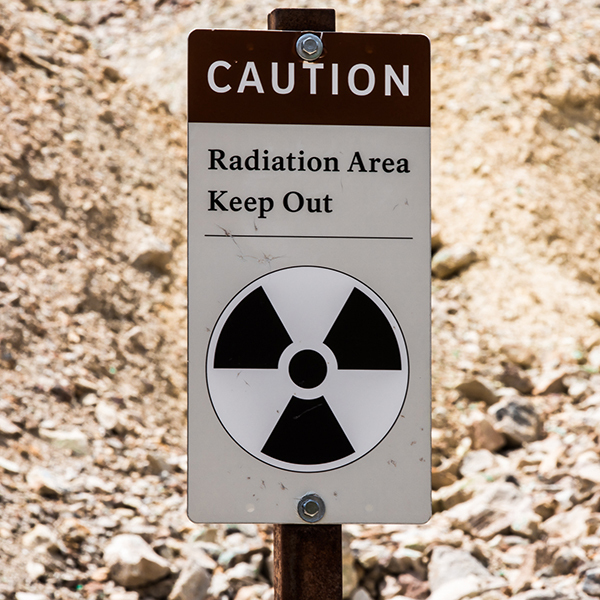 Uranium mining risks contamination of precious water sources, and proposed developments threaten the springs and the natural, cultural, and scenic values of the canyon. 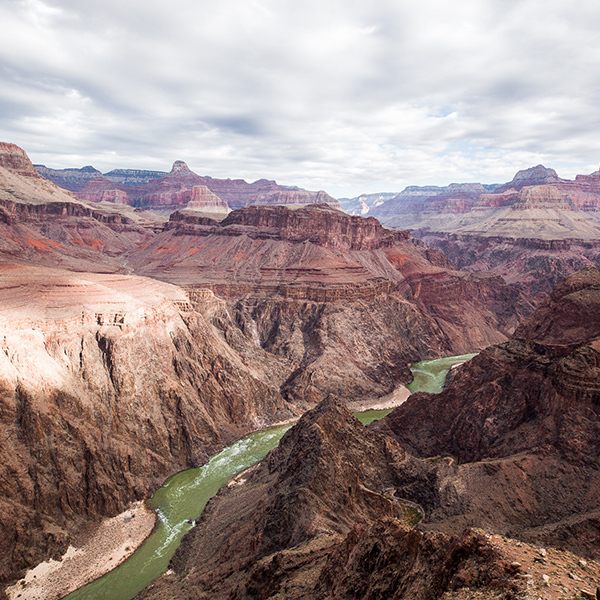 We tackle these issues head-on, protecting the Grand Canyon — the heart of the Colorado Plateau — for future generations. 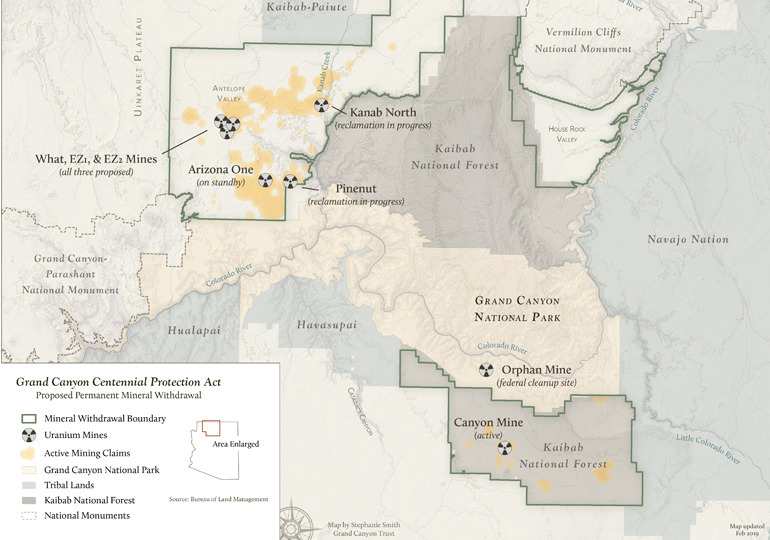 Uranium mining, near the Grand Canyon? 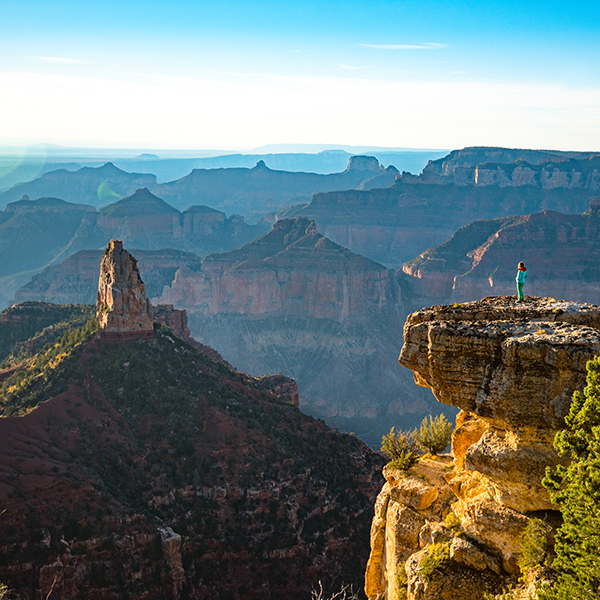 Ask your Congress members to protect the canyon from uranium mining. The Grand Canyon has been around for millions of years and home to native people for thousands. 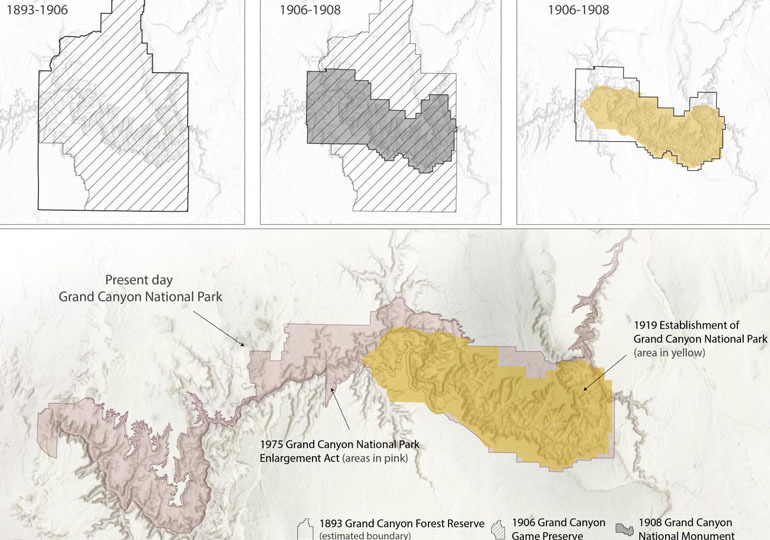 But Grand Canyon National Park has a more recent history, and in 2019, the park turns 100 years old. We’re commemorating the centennial and reimagining what the next 100 years of conservation could look like on park lands and beyond. 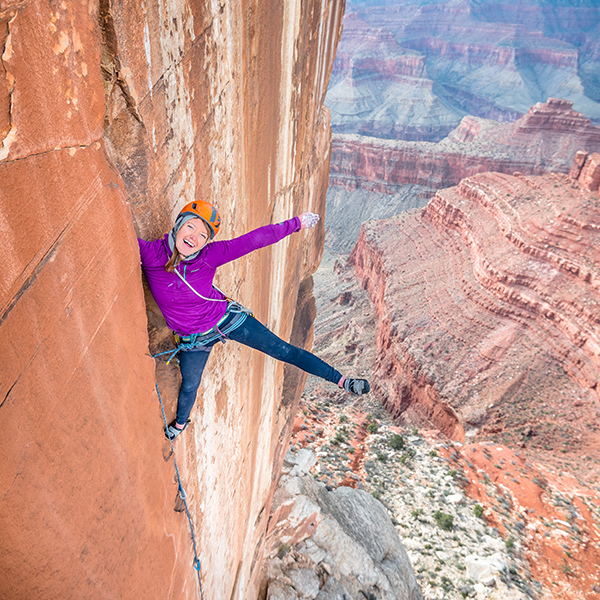 "Every 15 or 20 years, it seems, the canyon forces us to undergo a kind of national character exam. If we cannot muster the resources and the resolve to preserve this, perhaps our greatest natural treasure, what, if anything, are we willing to protect?" Coal plant emissions, noise pollution, and uranium mining are like nagging coughs that won’t go away. We’ve been chipping away at these persistent problems for over 30 years, but we'll need your support to quash these threats for good. Regional haze from the nearby coal plants and cities cloud the views of our crown-jewel national park. Hundreds of helicopters fly over the Grand Canyon every day, roaring through the natural silence that otherwise blankets the region. 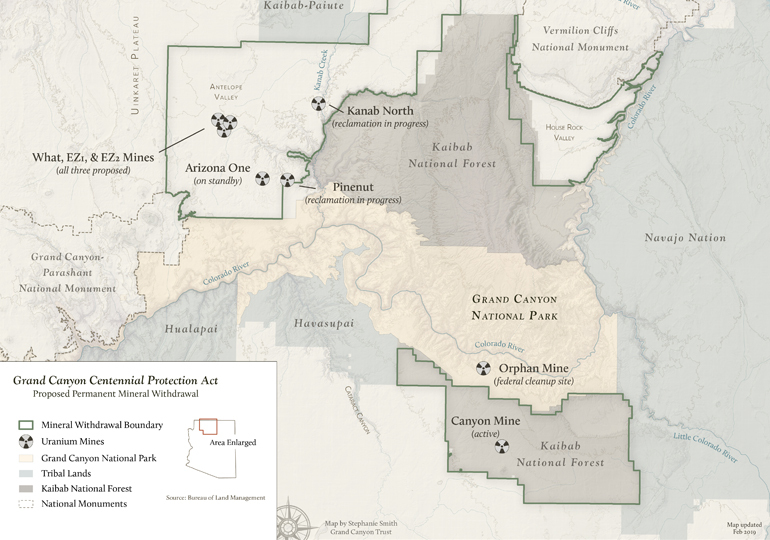 Uranium mines outside park boundaries threaten to contaminate the Grand Canyon’s waters, soil, and air. Proposed mega developments threaten to guzzle scarce water sources and desecrate Native American sacred sites. 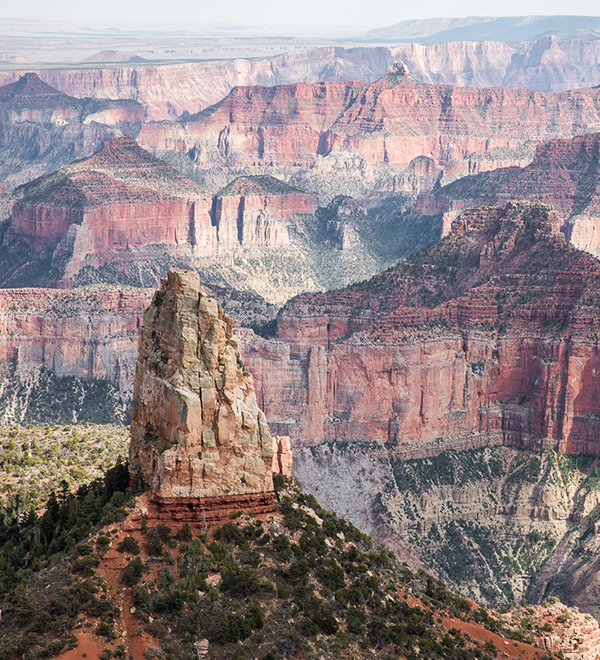 We’re hitting the road, bringing stories of the Grand Canyon to audiences across the country. 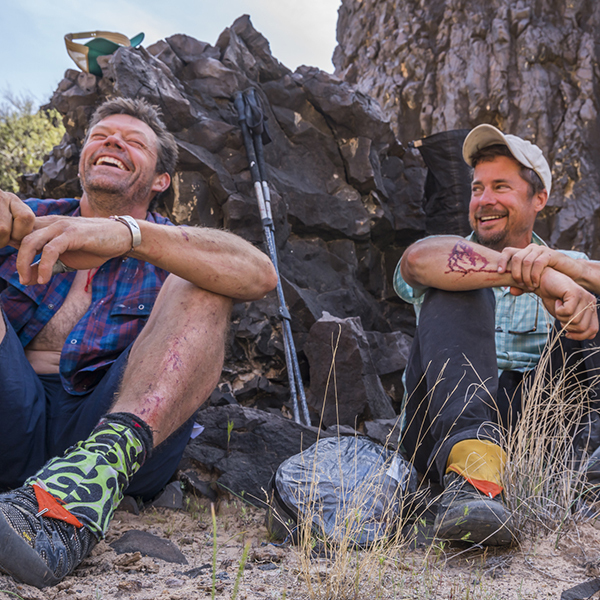 Join us to hear National Geographic photographer Pete McBride and author Kevin Fedarko speak about their 800-mile hike through the Grand Canyon and the threats to the canyon they discovered along the way. There are a million reasons to care about the Grand Canyon. From its vast panoramic views, to the tiny endangered snail that takes refuge within its walls, the canyon can shock, awe, terrify, and humble — sometimes all at the same time. We have a lot to learn from the Grand Canyon, including the native cultures that call it home. Everyone deserves the chance to experience the canyon's magic. 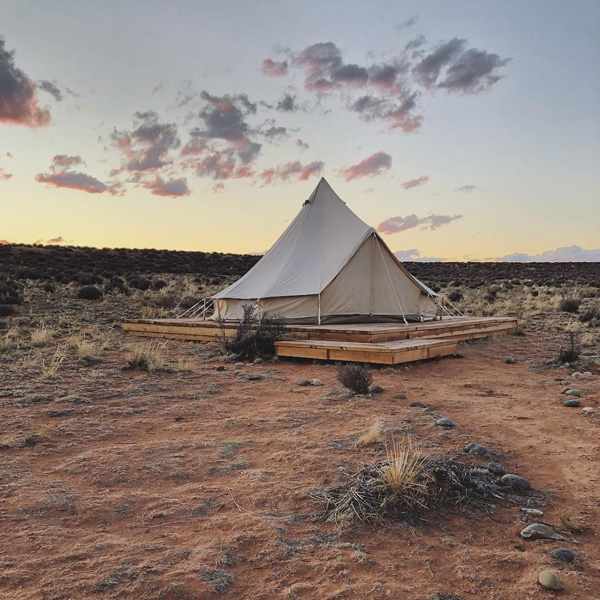 So whether you cherish the canyon’s cultural importance, wildlife, sunsets, or trails, help us protect this amazing landscape for those who are yet to come.